Are you currently located in the European Union (EU) or a citizen of any of the EU Countries ? (1) All personal data you provide (or have provided to UofL) are provided in order for UofL to continue its processing of your application for admission, enrollment related activities and later your role as a student at UofL (e.g. determining your eligibility for scholarships, preparing advising reports, making class rosters for professors, etc.). UofL may provide the information to third parties in the regular course of business who are providing services for UofL (e.g. a credit card company or financial institution for payment of deposits, tuitions or other fees or a software/application vendor who may be processing your personal data or performing services for UofL which use your personal data). 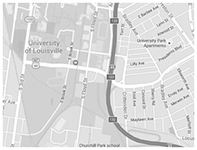 Both UofL and these third parties will take appropriate steps to protect your personal data. For additional details see UofL’s Privacy Statement at https://louisville.edu/privacy-statement. meeting UofL’s internal and external reporting requirements. (3) Submittal and processing of your personal data is necessary in order to fulfill/achieve these purposes. (4) A refusal to supply this information could make it impossible for UofL to carry out the necessary activities as well as any obligations required by law. (5) Your personal data may be stored and/or used from now until 5 years after your role as a student at UofL has ended. (7) You have legal rights and remedies regarding any breach of your personal information. I give my consent for the use of my personal data (including any sensitive data as defined in the GDPR) for the purposes outlined in this notice. I do NOT give my consent for the use of my personal data (including any sensitive data as defined in the GDPR) for the purposes outlined in this notice. The University of Louisville cannot process this form without your consent. If you are sure you want to decline your consent, you cannot submit the form at this time. Otherwise, you may change your answer to the question above. If you would like more information about the European Union's General Data Protection Regulation (GDPR) please click here. Are you considering an online-only program (where you do not take any classes on campus)? When will you start at UofL? Last school or college you attended? The University of Louisville is accredited by the Southern Association of Colleges and Schools Commission on Colleges to award associate, bachelor, master, specialist, doctoral, and first-professional degrees (D.M.D., J.D., M.D.). More information.